A big crab that can grow to 14 cm in width. There are 9 slightly rounded teeth between his eyes and claws on each side of his shell. The colour of his shell is yellowish with mauve brown spots. 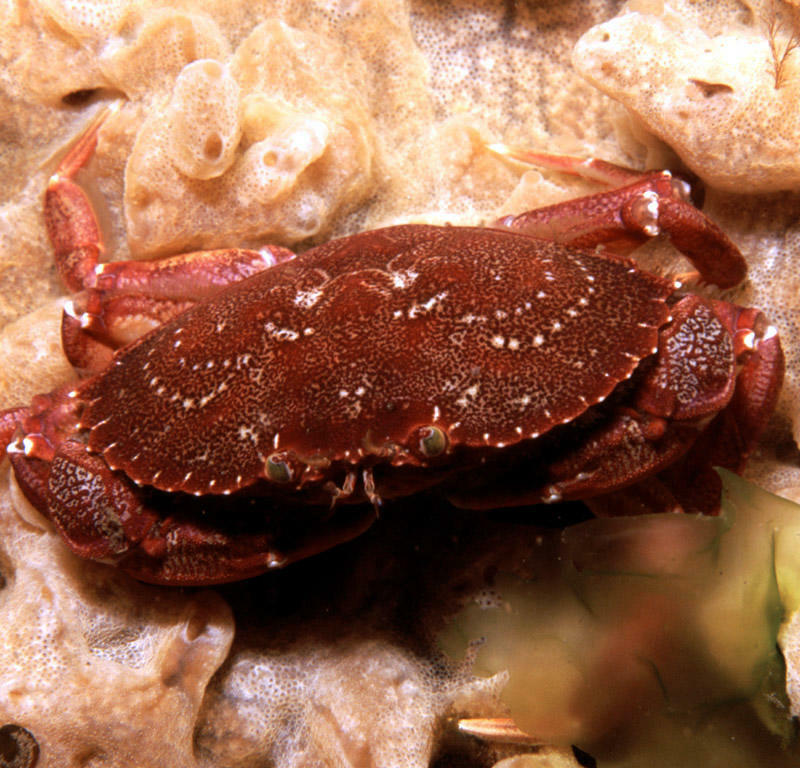 The Rock Crab uses his big claws to crush mollusks, sea urchins, and star fish before eating them.